Great news! 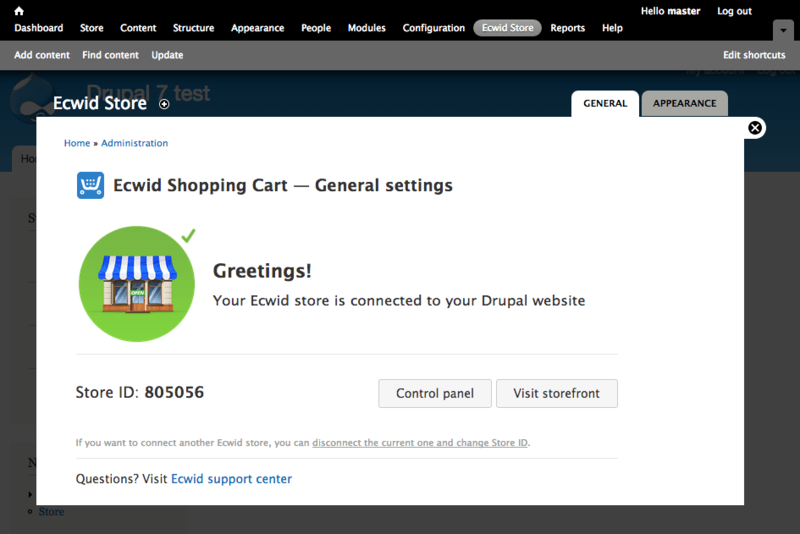 Starting an online store through a Drupal website is now easier than ever with the release of Ecwid’s module for Drupal 7. 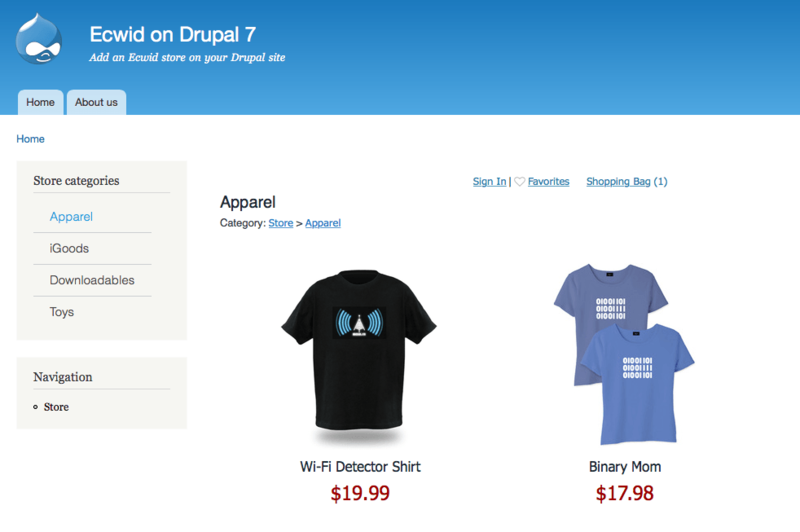 It’s available for all Drupal users on the Drupal site: Ecwid shopping cart module for Drupal. According to statistics from Web Technology Surveys, Drupal is the third most popular content management platform after WordPress and Joomla. The three combine to support over 75% of all CMS-powered websites currently online. This year, we’ve been actively working on Ecwid extensions for WordPress and Joomla. A lot has been done and even more great features are coming soon. This update brings an easy and powerful Ecwid integration to Drupal community. We already have a module for Drupal 6, which, however isn’t compatible with the Drupal 7 sites. The old module for Drupal 6, as well as Drupal 6 itself, became quite outdated. That’s not a problem, because, as you likely know, you can install Ecwid on any site, including those running Drupal 7, by means of pasting of a few lines of code. However, the official module made the installation even easier and tightens the integration with Drupal. Nice and intuitive design for module settings pages. Completely revamped plugin backend make setting up a store a piece of cake. The Drupal module supports Google AJAX Crawling technology to help Google find product and category pages in your store. Microdata-formatted product descriptions to make products appear as rich snippets in search engine results pages. Done! You can start selling — a new page with your store products will be automatically added to your site. Also see our Help Center for details on how to set up the new Ecwid extension on you Drupal site and adjust your store’s appearance: Drupal. Do you use Drupal? We’d be happy to hear any feedback on the Ecwid module. What do you like or dislike in the new Ecwid module? What would you add to it?